…let’s start with the terminology “OWNER” when it comes to team [of people] sports. Even with the lucrative contracts, we still have “trades” [of people], “scouting,” “drafts” (those are your orders). Bought and sold. Was LeBron James’ move from Cleveland to Miami a rejection of the game’s “owner class” system? Will Le Bron James and/or other league players lead a sit out “revolt” in support of the Clippers team players; and against the tongue lashings of its “owner” Dan Sterling and others like him? About 3 years ago, I happened upon an exhibit of Hank Willis Thomas‘ photos at the Corcoran Gallery of Art. The images were provocative. It made me go “hmmmm.” Perhaps the LA Chapter of the NAACP should give Hank Willis Thomas an Image Award as they did for his mom Deborah Willis. And Lupita will share her Oscar for “12 Years a Slave” with V. Stiviano. I’m getting settled in. Wanted to get in the Cullen back room and find a spot close to a plug. Considering that they are reporting record low turnout, my laptop battery might outlast election night. But this means it could be anybody’s race. 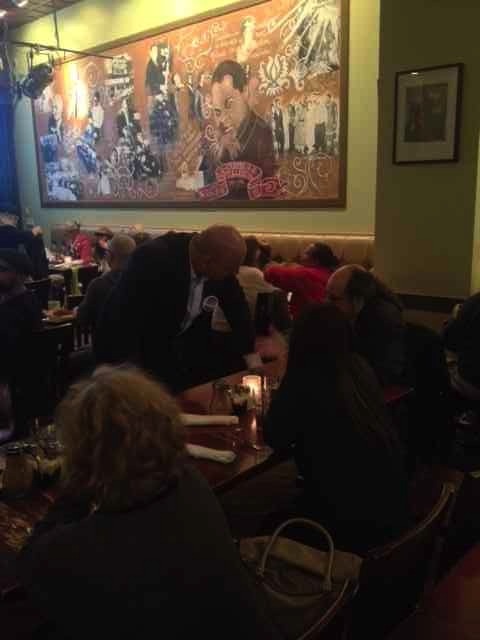 Busboys and Poets (5th & K, NW) is where the Andy Shallal campaign will hold their watch party. People are starting to trickle in. A few are outside the door having dinner. I’m trying to decide where people can send me any useful updates for this blog. We’re watching News Channel 8 for the results. And I can embed it. I’ve posted a request for updates from my FB friends. They’re a lively bunch. The extended family of Andy Shallal and campaign workers are now in the room. Let me return to the 3 items from my introductory post regarding this election. DC is a changed city. Anyone who’s been away for 3 or more years will tell you. The city has changed. But what does that mean for DC politics? Home rule has only been around since December 24, 1973. A Merry Christmas. Compared to counties and states, that’s not a long time for a citizenry to choose their elected officials. The old guard includes The Washington Post. 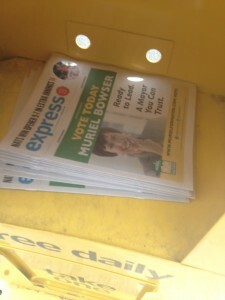 Can the newspaper sway voters to give their vote to their endorsement – Councilmember Muriel Bowser? 1100 newcomers into the city each month. Reports of record low turnout at the polls. I think the Washington Post may have called it in terms of impact, but the specifics are yet to be determined. Maybe the long-time residents stayed home. What were the numbers for early voting? How politically progressive is DC? How do we measure that? How do we define it? That comes with the debrief post-election night as well. Room’s starting to fill up. Here come the signs. High fives! and kisses all around. Marjan Shallal is here! Here she is from this morning at one of the precincts. Energy in the room is good. Room is full at Busboys and Poets. But no returns from the Board of Elections. 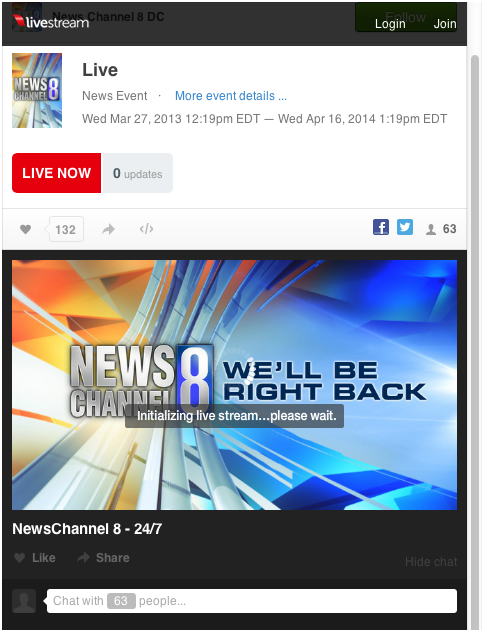 It’s now 1 hour and 48 minutes (nearly 2 hours) since the polls closed. As I mentioned earlier, I’m looking at the results and what they reflect about political culture of DC (local) in the 21st century. Are we there yet? Meaning I can wait until morning for the outcomes and then process the rest. And the winner of the Democratic primary (for Mayor)….The Bowser Express! The win is decisive despite problems with electronic voting machines at precincts which delayed election results. Early votes and paper ballots were counted first (I keep telling you people). Make a note of these voting machines for all elections to come. The delay prevented me from staying on site at Busboys for the long haul. Longer hauls awaited me the next morning. I’m still reading the final numbers from the Board of Elections to find out if this election was an indicator of anything for the city other than the “We don’t trust Gray” mandate. Is a 22.5% voter turnout a mandate? Was there fear among the politially motivated of another federal takeover and appointment of another Control Board if there was an indictment? But the answer about “Washington Post as decider” – definitely a political influencer and player. Impact of newcomers – Leaning “No impact.” But need to see the numbers for registered voters (new registrations). Progressive city? – Leaning “No.” Moderate. Or is “Pragmatic” the new “Liberal Conservative”? For this one I’m looking closely at Tommy Wells’ numbers to make some kind of determination. Andy Shallal came in 5th overall and was ahead of Councilmember Jack Evans in Ward 1 where Shallal lives and where Evans launched and pitched his campaign tent. Shallal pitched his campaign tent in Ward 8 where Evans came out ahead of Shallal. Looking at that scenario as well. We don’t expect Wolf Blitzer and Star Wars holograms of Will-i-am to be on the big screen for this election “watch night” at Busboys and Poets. But then it’s April Fools Day. And it’s the DC local primary elections. There are three areas that I’ll be watching re the outcome of the mayoral primaries for the Democratic nominee. 1. The Washington Post newspaper as “decider”. The Post has endorsed Ward 4 Councilmember Muriel Bowser (what they have decided as the top “anti-Gray/anti-corruption” choice). Over the past few weeks they’ve framed this election starting with 7-8 candidates; to four and now two: Bowser and sitting Mayor Vincent Gray. Keep in mind, the newspaper endorsed then Mayor Adrian Fenty in 2010 (Bowser’s political mentor). 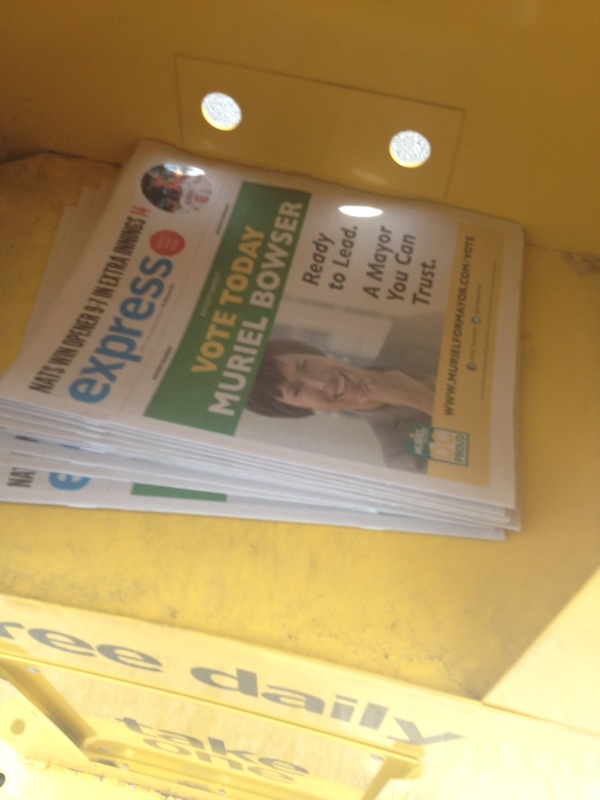 Today’s Express (a free newspaper published by the Washington Post distributed in boxes and handed to Metro riders during rush hour) has a 3/4 page campaign ad for Bowser on the front cover page under the mass head; full ad on the inside front page. Because there’s newspaper content on the same sheet (back page), it gives the first impression that Bower’s “Vote Today” message was part of newspaper content. Bowser is running on her record for pushing the city council’s ethics bill. BTW there are other mayoral candidates in the running: Council members Jack Evans and Vincent Orange, business owner Andy Shallal (disclosure, tonight’s blogging will be from the Shallal camp), former Ward 6 Council member Tommy Wells, and former Clinton appointee Rita Jo Lewis, and business man/musician Carlos Allen. Also keep in mind, DC voters don’t like when Feds determine who they should vote for. Keep the word “backlash” in your back pocket. 2. Do 1,100 new residents a month mean anything for DC local politics? The Washington Post has already cancelled their impact on DC elections. But could they be the April Fools surprise or a new silent majority? Add race to this topic. That’s DC politics. 3. How politically progressive is DC? 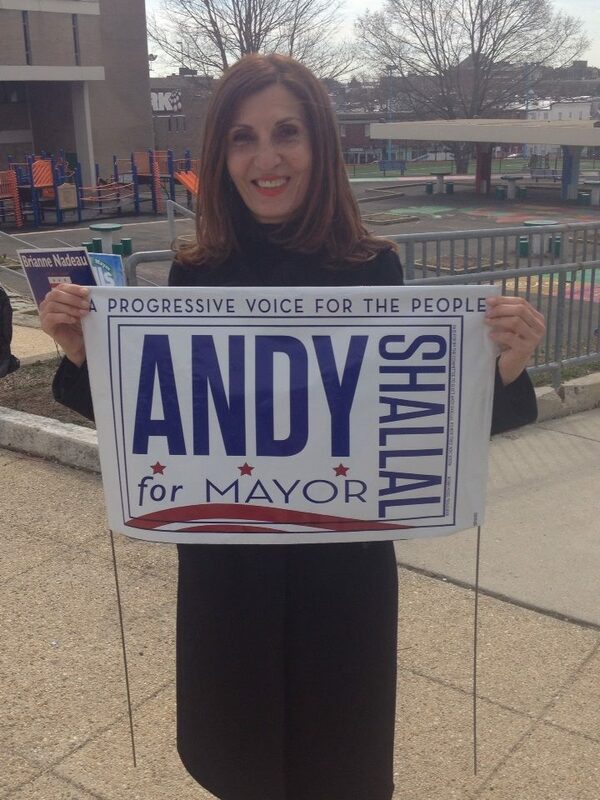 Andy Shallal and Tommy Wells have both courted the progressive vote. But how big is that vote? How strong? How progressive? Were they able to convince “Independents” to register as “Democrats” in time to cast their votes today? Over the years the city council has supported some “progressive” policies including marriage equality. But other battles continue to rage in public education, housing, employment, poverty, business — just to name a few. And let’s not forget. Probably for the first time, the outcome of today’s Democratic primary is not a done deal for the Mayor’s office. Councilmember-at-Large and Independent candidate David Cantania is just waiting to make his next move on the challenger. 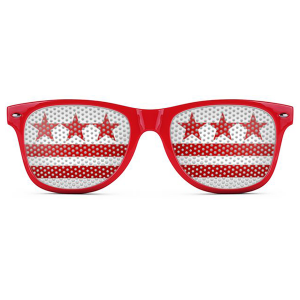 This is not a paid ad, but there are some cool DC Flag Products on Route One Apparel which is where I got the image for the sunglasses. So in all fairness, here’s their link.